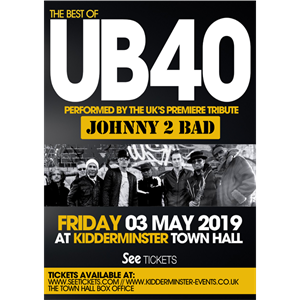 Formed in 2008 and now an 8 piece band, 'Johnny2Bad' performs the music of UK Reggae legends UB40, presenting their high energy live show doing all the Hits and Classics to audiences in both the UK and Europe. Featuring all the well loved hits of UB40 including.. ‘Kingston Town’, ‘Red Red Wine’, ‘Can't Help Falling in Love’, ‘Homely Girl’, ‘Rats in mi Kitchen’, ‘Cherry oh Baby’, ‘1 in 10’, also a unique version of Ali Campbell's cover of Prince's Hit "Purple Rain, and a few covers thrown in. The band is always entertaining from start of show to finish, with the Brass section and Lead vocalist venturing out into the audience. The show also features the Pato Banton/Ali Campbell hit ‘Baby Come back’ for which J2B’s drummer, bass player, keys player, and sax player were the original backing musicians while touring Worldwide for over 15 years with Pato Banton and The Reggae Revolution. Including being the 1st ever Reggae band to Play at 'Sydney Opera House' in Australia. Adding to this their guitarist, trumpet, trombone and lead vocalist fully rounds out the band to give the reggae sound loved throughout the world. The band has headlined festivals and performed in theatres in the UK, Holland, Belgium and Poland on a regular basis and were the first ever British Reggae band to hit the charts in Lithuania with their version of ‘Lollipop’ recorded with Lithuanian Pop artist Asta Pilypaite.  This resulted in the band having a BBC news team flying to Lithuania with them, and appearing on BBC News UK, as well as them doing a number of prime time TV shows in Lithuania and being honored by the Lithuanian Ambassador for helping to promote the country and culture.